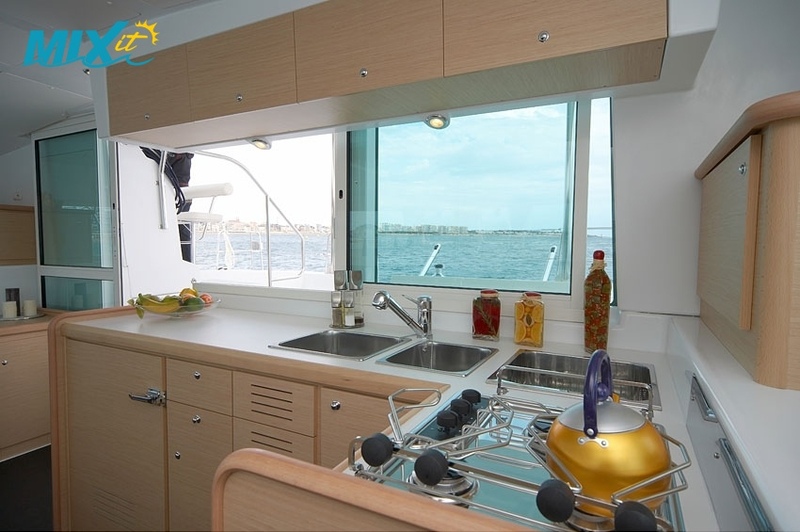 There are many ways to enjoy life on board the Lagoon 420: the cockpit with its large benchseats and a table is protected from the sun and the bad weather by a rigid bimini top with optional sides and back panels, the twin seats helm station was designed for sailing with a reduced crew. 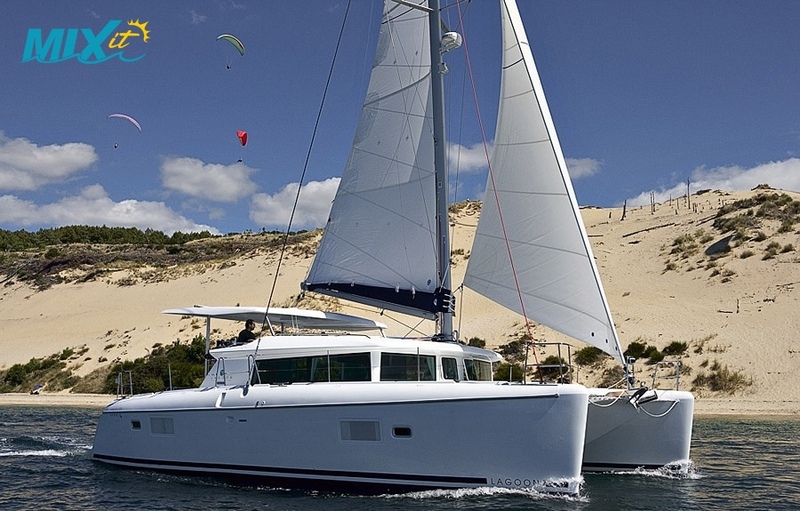 all the control lines can be handled by one person from the helm station, freeing the other living spaces for the guests. 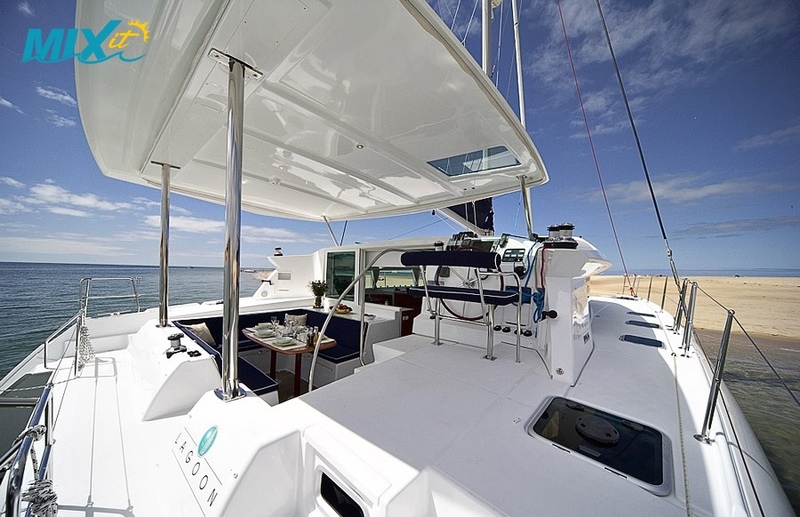 The foredeck is exclusively dedicated to relaxation. 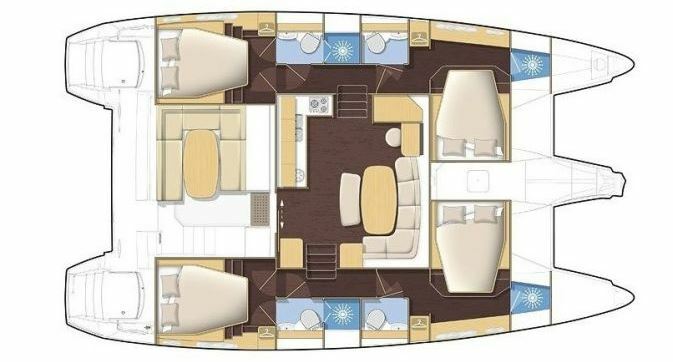 Priority has been accorded to comfort when designing the interior of the Lagoon 420. The light oak woodwork and the laminated wenge floor give a modern and relaxing feel. Access into the saloon from the cockpit through a sliding glass door on the same level. 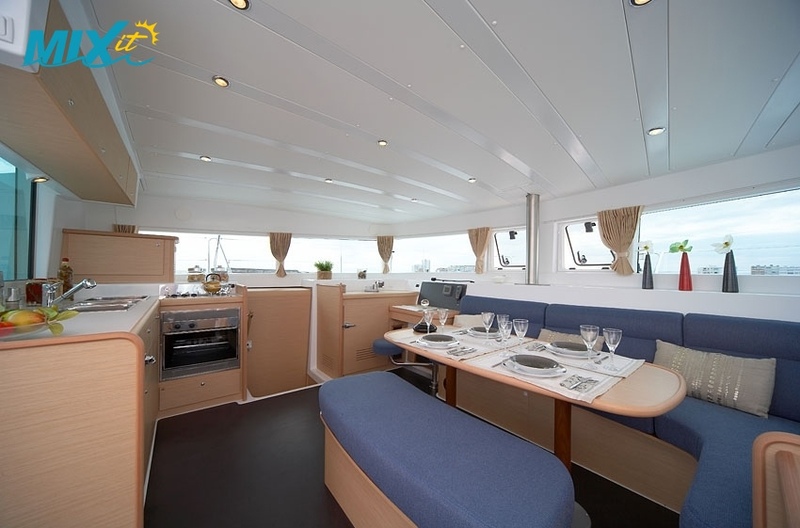 The longitudinal galley opens directly on the cockpit, it is the most convivial and practical area, fully equipped with numerous lockers. 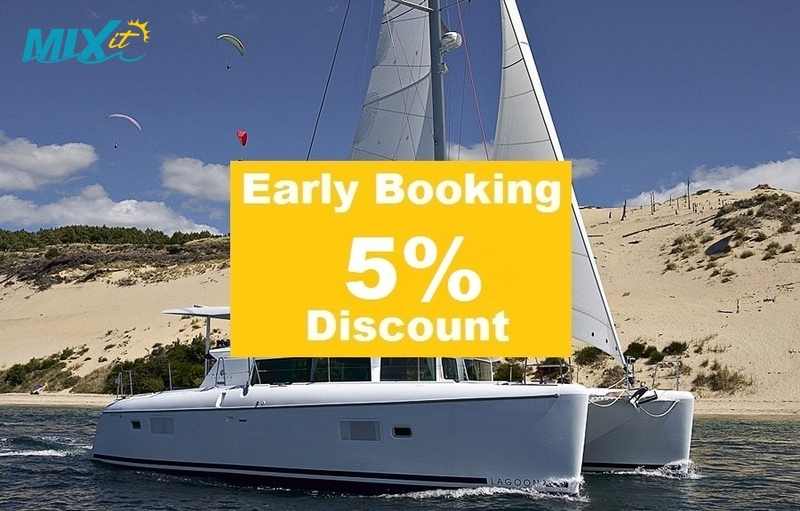 The layout consists of 4 double cabins, 4 bathrooms with separate showers and 2 single bow cabins plus kitchen table can convert to double bed. 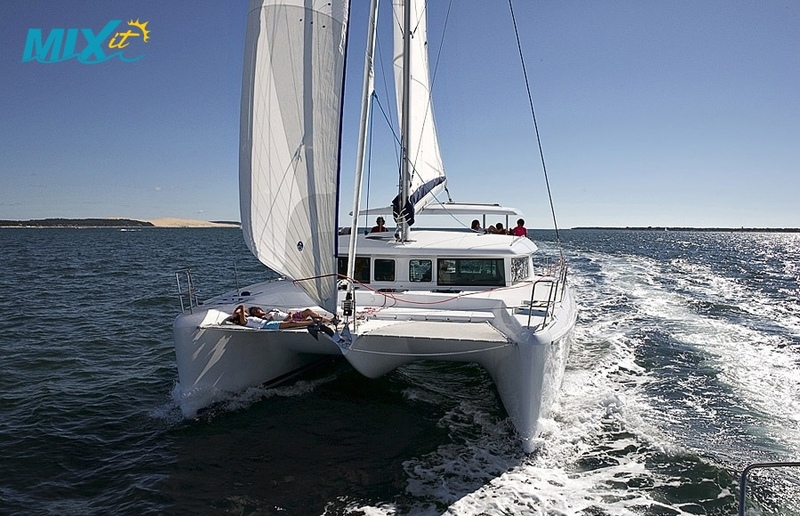 A new look, a longitudinal beam that can include a small bowsprit and the mooring gear, a rigid bimini, a tall rig, a gullwing shaped bridgedeck and an overlapping genoa. 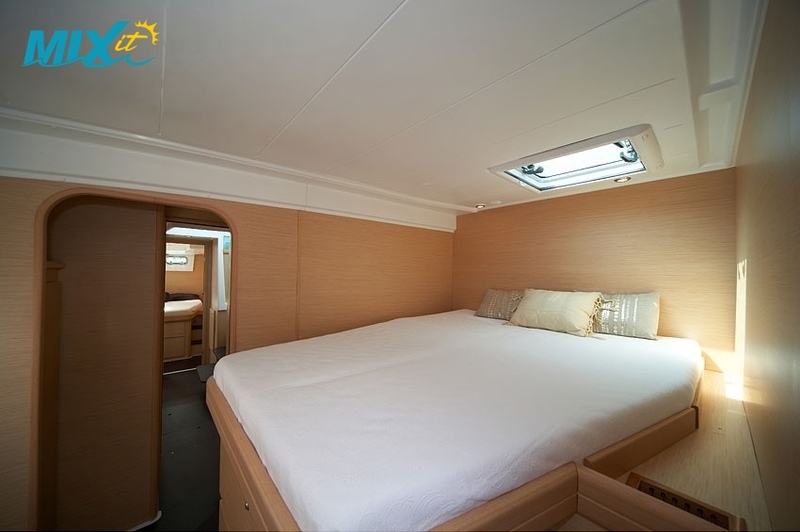 The deck is uncluttered so moving around is easy: wide sidedecks, flush deck hatches, plenty of lockers. The aft passerelle allows passage from one transom to the other without going back up in the cockpit.